Around one million people in Malawi live with HIV and AIDS. Many people who fall ill find it hard to farm, and struggle to get enough to eat. Antiretroviral drugs can help people regain their strength. But taking such potentially toxic treatment without food can be dangerous. Researchers argue that food security is essential to break this vicious cycle. 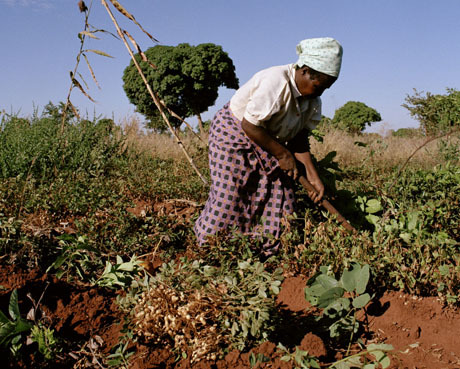 In Malawi, the charity Care International supports vulnerable households by running communal vegetable gardens. Hilary Mbobe visited Steria, who is living with HIV, in the village of Matapila.